Graham was brought up in Paradwys, Bodorgan, Anglesey and schooled at Ysgol Gyfun Llangefni, Anglesey. He currently lives in Trefriw, Conwy. In 1981, Graham graduated from Exeter College of Art where in 1980 he had been awarded a Photographic Travel Bursary enabling him to travel to the republic of Ireland. This began a series of photographic visits to a small group of islands in the Gaeltacht (Irish speaking) area of South Connemara, documenting the rural lifestyle of this isolated community. These visits took place between 1980 and 1994. In 2013, the Arts Council of Wales awarded a Special Project Grant enabling Graham to re-visit these same locations, to respond photographically and create this retrospective exhibition. 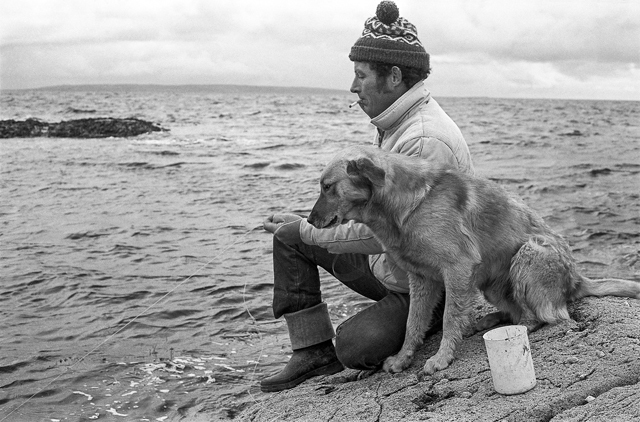 The photographs exhibited portray a sample of the many themes Graham explored, such as the sea going traditions of ‘Galway Hookers’ and ‘Curragh’ racing. The Black and White prints (from 35mm film) are from Grahams early archive collection (between 1980 and 1994) and the colour photographs were taken in the same locations between 2013 and 2014. Graham’s visits over the past year contrasted with his early visits as many of the homes Graham had photographed in the 1980’s are now derelict and new homes enjoy the same modern luxuries and convenience as we are accustomed too. 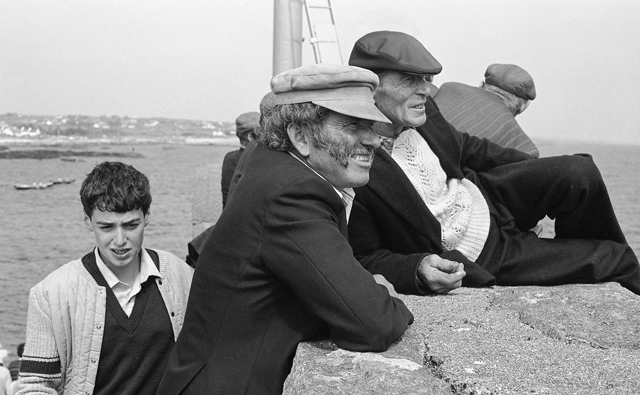 However, the images portray not only past, but also some of the present day ‘characters,’ traditional customs and rural life in Connemara that still have echoes to rural life here in Wales. “My documentary work of Connemara has not been shown in Wales for many years, I first exhibited the earliest work 30 years ago at Theatr Gwynedd in Bangor (Today, the University ‘Pontio’ is being built on this site). However, with the support of Arts Council Wales, I have been able to re-visit my archive, editing and creating an exhibition of work that shows many old photographs as well as adding more recent works. 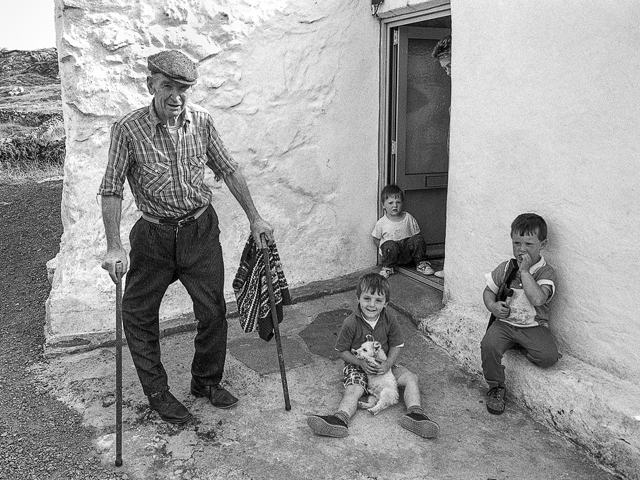 I hope the exhibition will convey the character and warm personality of Connemara that I have experienced as well as inform audiences of the strong sense of identity and community that exits within rural communities generally”.